Wait, that doesn’t sound good at all. 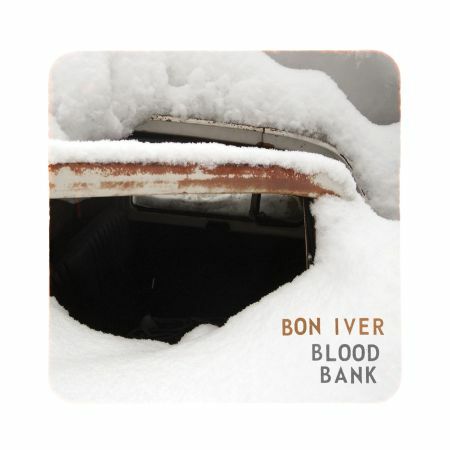 How about ‘Bon Iver‘s anticipated EP ‘Blood Bank’ will be released in digital, cd and vinyl formats on January 20th (19th in the UK) by Jagjaguwar, worldwide’. That’s better and good timing. I’ve been looking for something to listen to while safe inside from the snow storm happening in Toronto at the moment. A little more of what I was hoping for, sparse acoustic stories told by a distinctive falsetto. The one that sticks out on this four song effort is the track Woods, which doesn’t start with the letter B and is heavily built around a autotuner. Maybe Justin’s been listening to a little Imogen Heap.